Student's Book 3 is intended for intermediate to high-intermediate students. The Student's Book offers 16 task-based units, each built around an engaging topic. Through a careful balance of activities, students learn to listen for main ideas, to listen for details, and to listen and make inferences. Prelistening schema-building activities help students build vocabulary, and listen-again activities provide additional skills practice. A full page of optional speaking activities with pronunciation practice is provided in each unit. Expansion units, with authentic student interviews, offer rich cultural material and provide review. 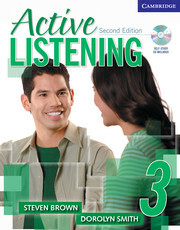 A free Self-Study Audio CD is also included in every Student's Book. 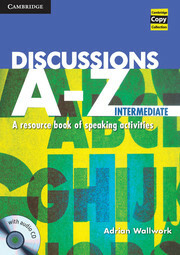 A photocopiable resource book of speaking activities for intermediate and advanced level students.